When the world starts catching up to me, I take one back and smile because the mood is right. 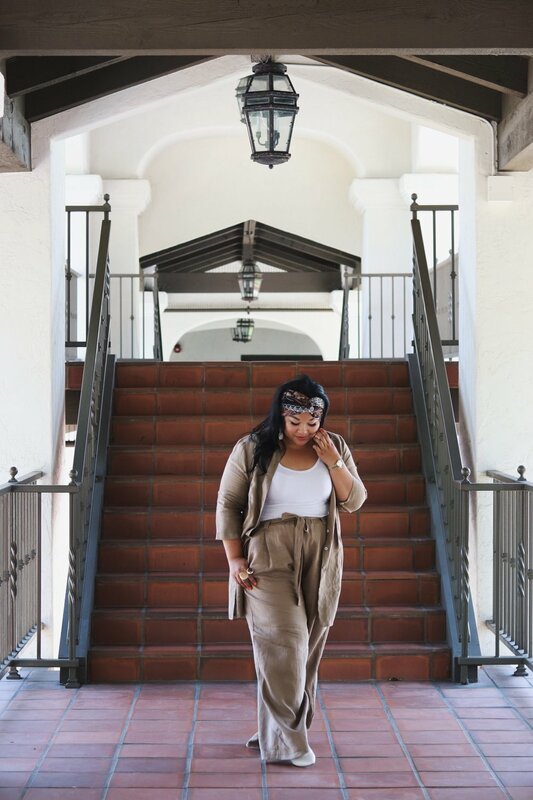 When navabi and I agreed to do a "Summer Staple" series, I knew I wanted to take advantage to style and review their luxe linen selections. Linen fabric has many attractive properties and all of them are most easily appreciated when wearing linen clothing during warmer months. I can't exaggerate enough when I say that linen tunics, dresses, shirts, and linen trousers are really irreplaceable in Summer, for traveling and/or just chilling out. Summer clothes made of linen possess high air permeability, which allows air to flow through the fabric easily and allows the body to breathe. This navabi linen outfit provided much-needed ventilation for a warm Summer day. I ordered this linen shirt a size down for a more fitted look and grabbed my true size for the matching linen trousers. I am 5'5" and the trousers are probably 3 inches way too long for flats but I knew that the only agenda for the day was to enjoy a nice lunch in downtown San Jose so I was still comfortable and no damage was done. Besides, the trouser length is actually essential for when I wear heels. Head scarfs are also a must and so fun for Summer. An easy way to accesorize salty beach hair, I was pleasantly surprised to find this cool and light tribal print scarf on navabi's website to use it on my overdue dry shampoo'd hair. P.S. I miss my box braids so much. This outfit concludes my Summer staples with navabi and I am stunned that August is here! We have one and half more month of Summer here in the States, can you believe it? Let's make it glorious shall we? Happy 1st of August my Bebots. I wish you a blessed month filled with Summer love, dope jams, and cold drinks!